Huawei is a leading global provider of ICT solutions. The vendor places a strong emphasis on innovation and using partnerships to constantly improve the way it serves its customers. From storage solutions through to networking, Huawei covers a wide range of ICT markets and its products have been deployed in more than 140 countries. With strong R&D capabilities, the company has developed a reputation for delivering highly efficient customer-centric ICT solutions. Huawei is committed to accelerating its customers’ ICT development and improving their operational efficiency. By listening to their needs and working with partners, Huawei is constantly evolving to meet organisations’ changing ICT demands. Huawei’s customers span from SMEs up to large enterprises in almost every sector, meaning it is well placed to cater to the unique demands businesses of any size or industry are likely to face. Its portfolio of products and services includes networking, servers, unified communication and collaboration (UC&C), cloud computing, data centres, storage solutions, network energy and infrastructure services. 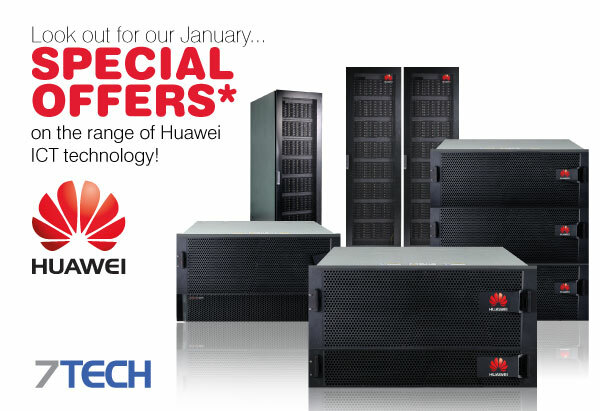 IN JANUARY WE ARE LAUNCHING SOME GREAT SPECIAL OFFERS ON HUAWEI ICT TECHNOLOGY. CLICK THE BUTTON BELOW TO BE FIRST TO FIND OUT WHAT THESE ARE! uawei has a wide range of high performance storage products. These include the company’s block and unified storage: S2200T, S2600T, S5500T, S5600T, S5800T, N8500, N9000; its Dorado SSD SAN solution; and its enterprise storage solutions, the S6800T and the Oceanstor 18500 and 18800. With such a vast portfolio of storage solutions, Huawei is able to meet the varied demands of its customers, enabling it to deliver on today’s requirements for centralised, high-availability clustering, data sharing, big data and cloud storage.Huawei’s enterprise unified, block and massive storage solutions focus on reliability and performance. They provide high-performance clustering and huge scalability while remaining extremely reliable and cost-effective. This means customers can deploy a storage system that will meet its constantly evolving needs without the need for large investment. 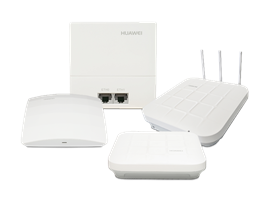 Available access points include indoor settled, indoor distributed and outdoor versions. Whether an office, hospital, conference centre, hotel or even a pedestrianised area – Huawei has an option to meet any requirement. The outdoor access points are all built to survive challenging, exposed conditions – they are dustproof, waterproof and can cope with high and low-temperatures.The access points support rich features, high-density and include compliance with IEEE 802.11ac standards. While the signal-strength of products vary, depending on the size and nature of the space that the client wishes to serve, all deliver high performance wireless connectivity.